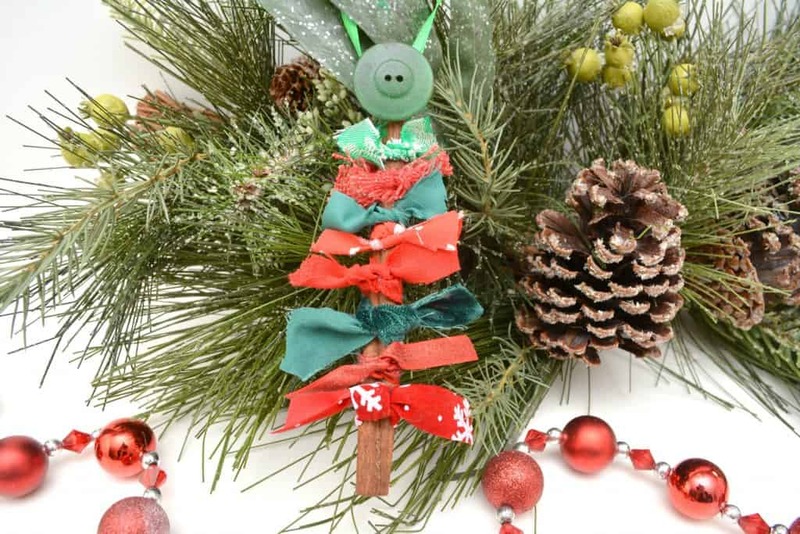 Making a DIY Christmas ornament is such a fun way to celebrate the holidays with kids, and they love to contribute to the decor on the tree. Bonus, these smell really good! 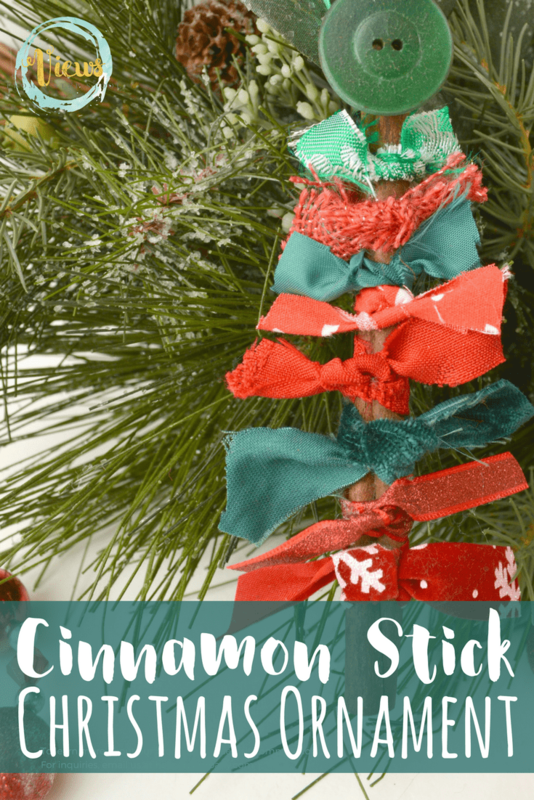 These ornaments are inspired by this one from Fireflies and Mudpies, but use a cinnamon stick for scent instead of a stick (though the natural feel there is beautiful!). 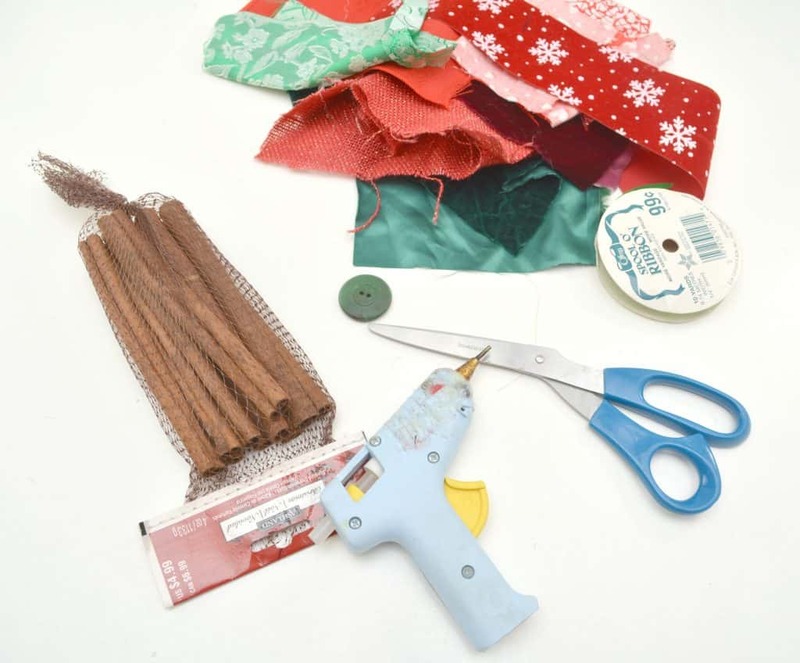 Begin by cutting various different fabrics and ribbon scraps into thin straight lines. 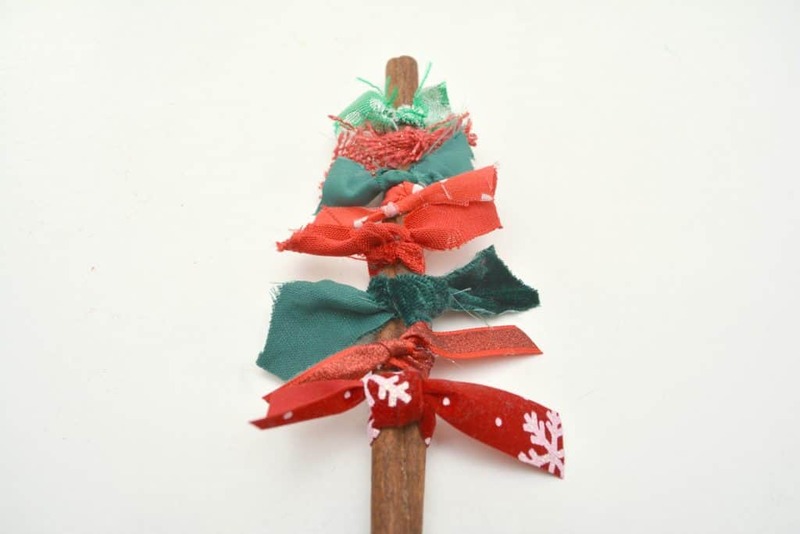 Start at the bottom of the cinnamon stick and tie on the scraps of fabric and ribbon, alternating various patterns and colors as you work your way up the cinnamon stick. 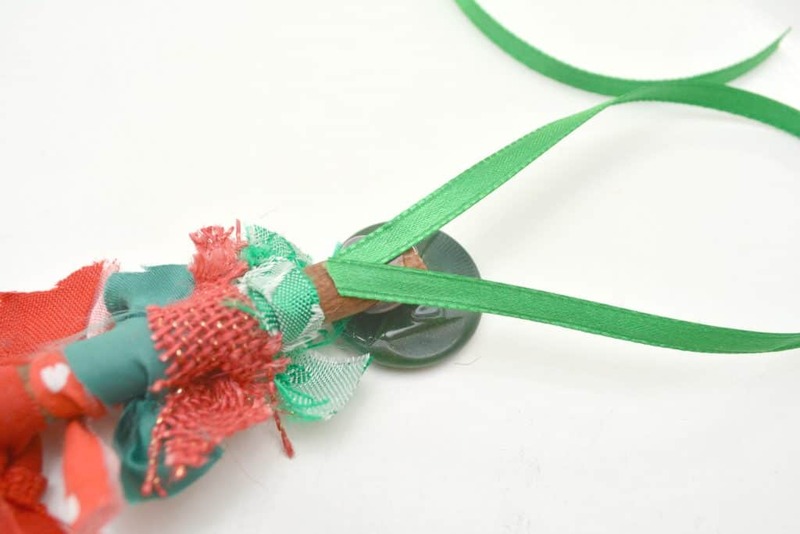 Double knot the scraps as you tie them on so that they do not come loose later. 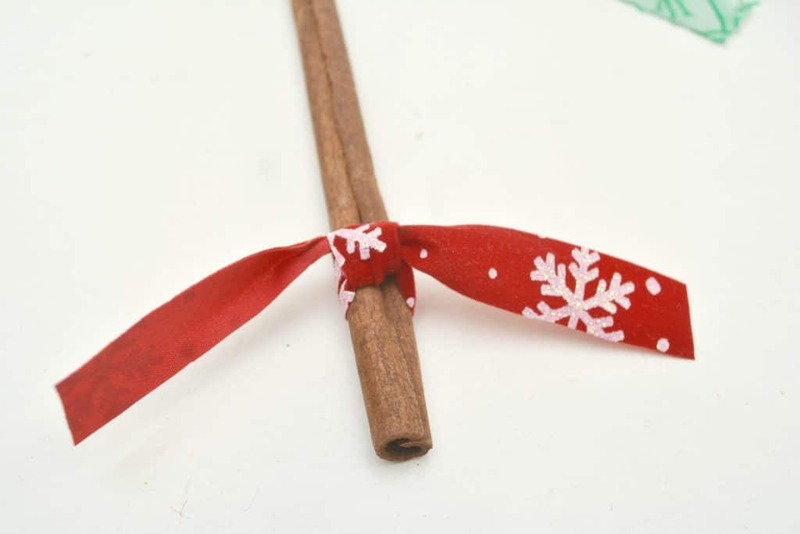 Also, be sure to leave a small space at the bottom of the cinnamon stick and at the top as well. 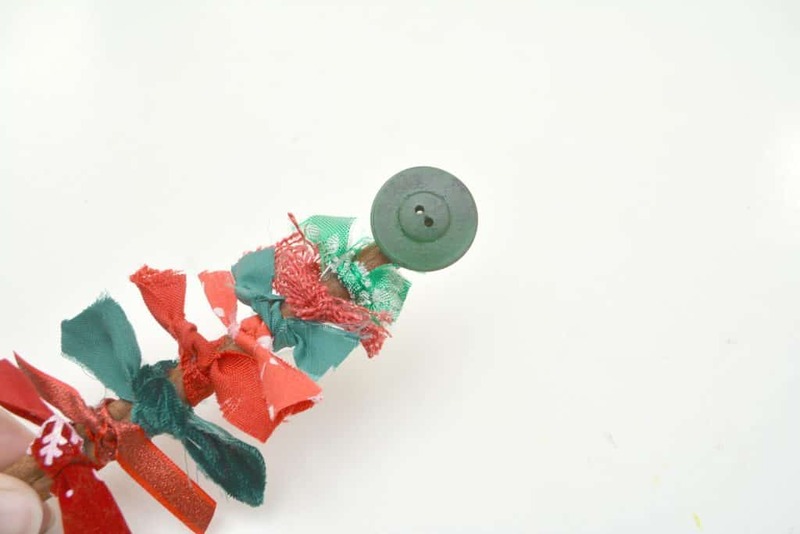 Once you have tied on your scraps and ribbon. 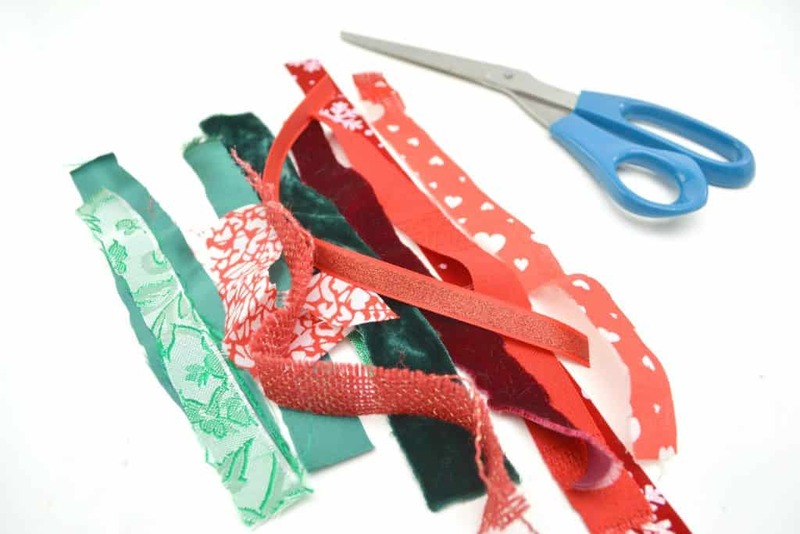 Use scissors to trim them into the shape of a triangle, where they are longer at the bottom and get shorter as you move to the top. You can see the photo for reference. 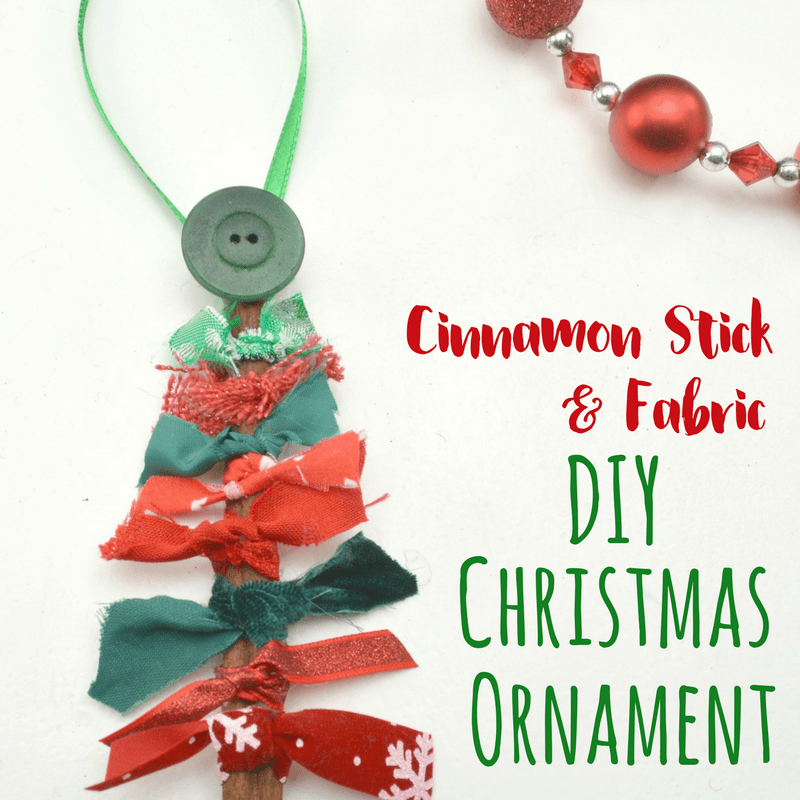 Using a hot glue gun, attach a large button to the top of your Christmas tree ornament in the space left empty at the top of the cinnamon stick. 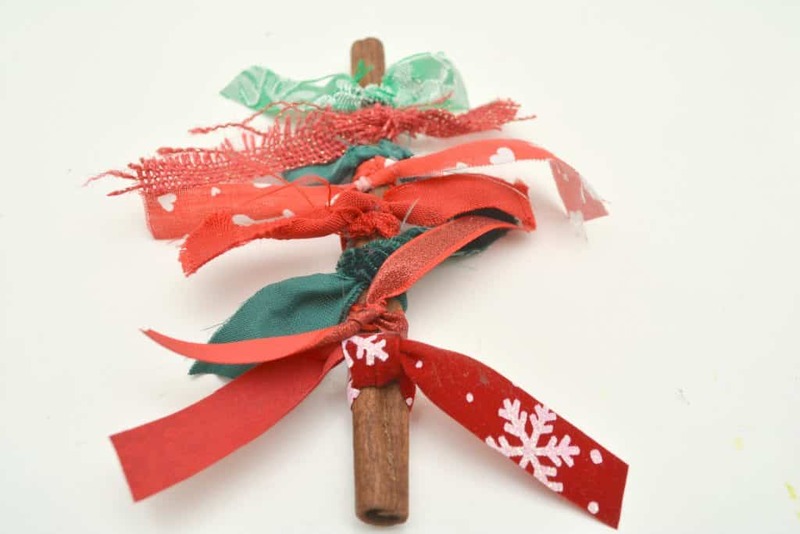 Turn the ornament over, and use the glue gun to attach a loop of ribbon to the back of the cinnamon stick so that it forms a hanger for you to hang your ornament with. 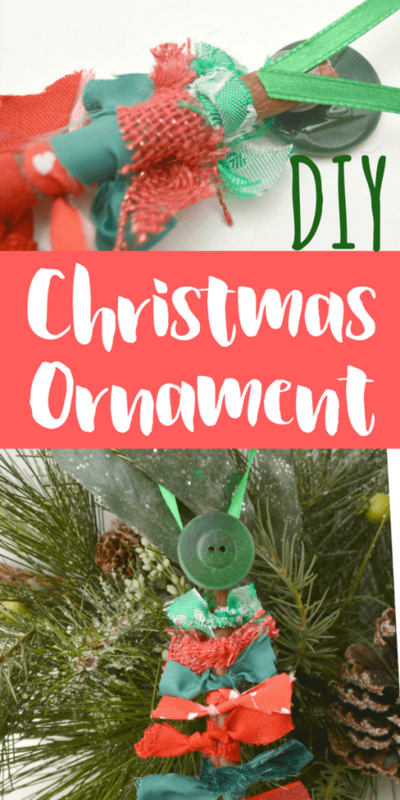 I hope you and your kids enjoy making this DIY Christmas ornament together, and that your house smells lovely for the holidays!